Over the last year, the youth department based at YMCA John Innes Youth Club has been working very hard to complete its London Youth Silver Quality Mark. London Youth is committed to high quality youth work and helps support its members to achieve the highest standard they can. The Quality Mark provides organisations with a badge of excellence, which is recognised by local authorities and funders. London Youth’s Quality Mark is accredited by City & Guilds and, uniquely, involves young people in the assessment. We have put together an evidence-based portfolio that demonstrates we’re delivering high-quality youth work in Merton. To achieve this, the team worked with young people from the youth club to complete each section. Sections included Equality, Diversity & Inclusion, Safeguarding, Continued Professional Development of staff, volunteers and junior leaders to Co-production, whereby young people helped to plan leadership programs like City Leaders and deliver community events, funded by the Mayor’s Office of Policing and Crime (MOPAC). 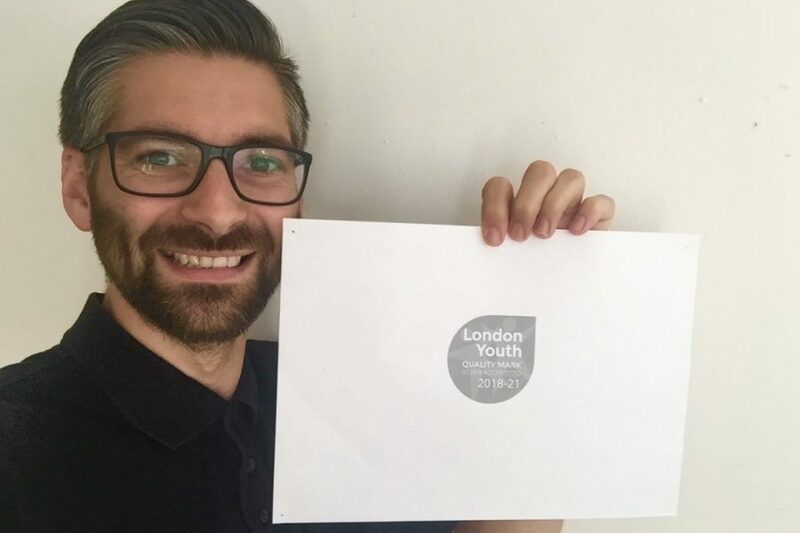 And this month the youth team based at YMCA John Innes Youth Club (part of the south region of YMCA St Paul’s Group) received confirmation that it is now a proud owner of the London Youth Silver Quality Mark. “This is great achievement for us. Many people have been involved in this piece of work and it’s a real credit to them and the young people who we have worked with,” says Paul Rook, Area Children, Youth & Families Manager.